Cory Aquino, Ninoys plain housewife, became the first Filipina President and the first female president of any country in Asia, died on 01 August 2009 after a long battle with cancer. Prior to his ill-fated return to the Philippines, Ninoy Aquino said, The Filipino is worth dying for. It is really apt to call to mind that quote this day, but we should also ask ourselves whether Ninoy death have made us worthy as Filipinos. In sacrificing his own life for Filipinos, Ninoy made the ultimate noble act nobody among us could ever repay. Death for the love of the country is the highest form of personal sacrifice only heroes are destined for. But in each one of us, somewhere in the recesses of our Filipino minds, we might have that one thing Ninoy died for: love of country. This is the land of our birth, the only place we Filipinos could truly call our home. Certain elements might want to break the archipelago into their own little turfs, but still the majority among us believes that the Philippines, and for that matter the Filipinos, have high hopes that the future is looming bright. With the help and grace of God, many of us still believes that the Philippines is not hopeless, corrupt as it might seem to Western world standards. Some of us, ingenious as we are and in our own little ways, are fighting corruption head on without reservations. Some of us need a little prodding, a little push, but when push comes to shove, we do it peacefully and become the talk of the whole world: People Power. We have a very good Constitution in place, the result of the Constitutional Commission of 1986 approved on 12 October 1986, and accordingly signed by Cecilia Munoz Palma, Ambrosio B. Padilla, Napoleon G. Rama, Ahmad Domocao Alonto, Jose D. Calderon, and 42 other commissionersvirtually all Filipino experts in economics, labor, agrarian reform, family, executive, legislative and judiciary, among other fields of expertise. It took effect upon its ratification by a majority of the votes cast in a plebiscite held for the purpose, the highest number of affirmative votes for a Constitution in the history of the Philippines, and superseded all previous Constitutions. Subsequently, a number of laws, ordinances, rules and regulations have been passed and adopted to augment and support this Constitution. Although some of us might criticize them for their lack of spirited implementation, lack of substantial changes to the system they purported to change, or the lack of government money to finance the change in paradigms, the life lessons Ninoy Aquino taught us Filipinos might be the only way to do it: to change things for the better. 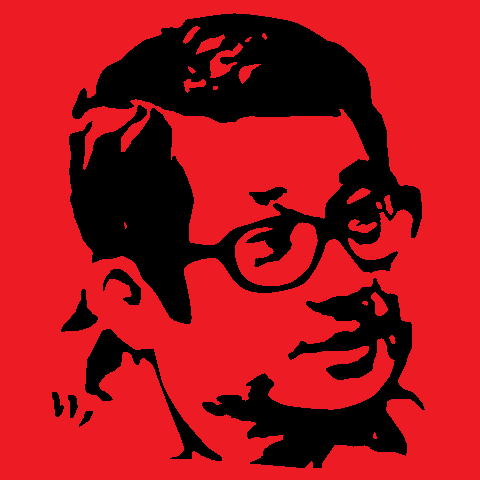 Ninoy Aquino, a foremost critic of the then Marcos administration, was followed by a multitude of others bringing attention to issues that the Philippine body politic cared or should care about: the plight of those of us living below the poverty line, the escalating conflict in Mindanao, the deterioration of press freedom, the undermining of the credibility of both Church and the judiciary or the politicized military. Not discounting those who in their thoughts they were entitled for a few minutes of fame or fortune, most of these multitude others truly believe that they are righting what is wrong, bringing to the open for the good of society or the majority, or simply doing what others failed to do or ignored to do. As Filipinos, there is a Ninoy Aquino in all of us: love of country. In our own little ways, we could contribute to the betterment of all of us. If we truly love our country, the Philippines, we should all be vigilant of what our own leaders are doing to the country, to its people, and to the environment as embodied in the 1987 Constitution under State Policies and the Bill of Rights. Doing so, probably Ninoy Aquinos death might not be for naught, but accelerate political maturity in and economic stability of the country. The Philippines is all weve got, and theres really nothing like it. We, the Filipinos, have done it once; and we could do it again. Rodis, Rodel (2008). Who Ordered Ninoy Killed? Bangkok: AsiaNews, 22-28 August 2008. pp. 15-16. Image snapped from AsiaNews, p. 15. back to text. Reblogged this on The Grey Chronicles.